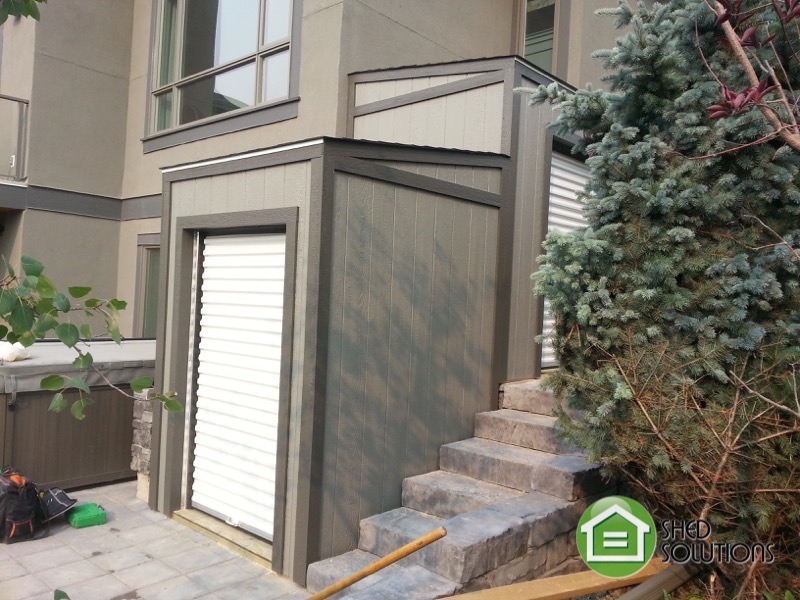 Dan and Michelle live in SW Calgary and were looking for a unique storage solution. Their yard included multiple tiers and levels separated by retaining walls and steps. Dan wanted two separate sheds located on different tiers in the yard. The two sheds measured 6′ x 6′ and 6′ x 7′. 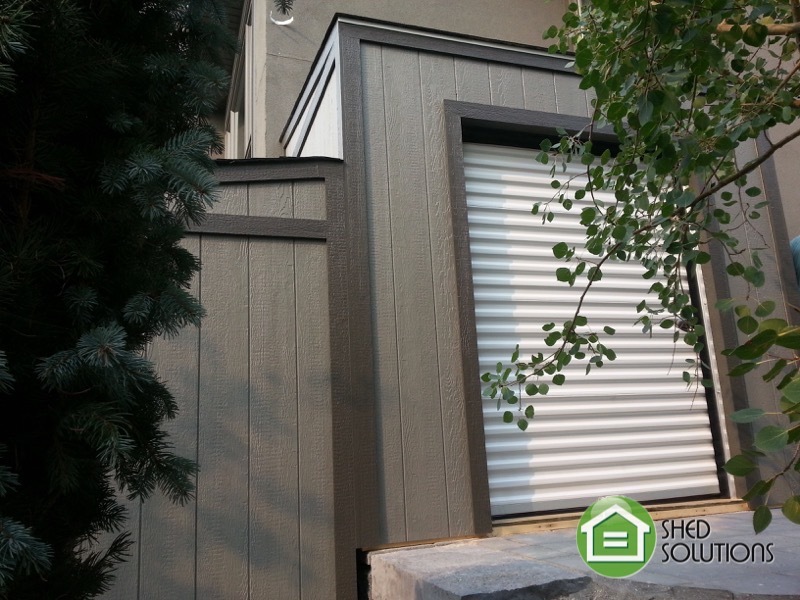 Each unit included a 4′ wide x 6′ tall roll up door. 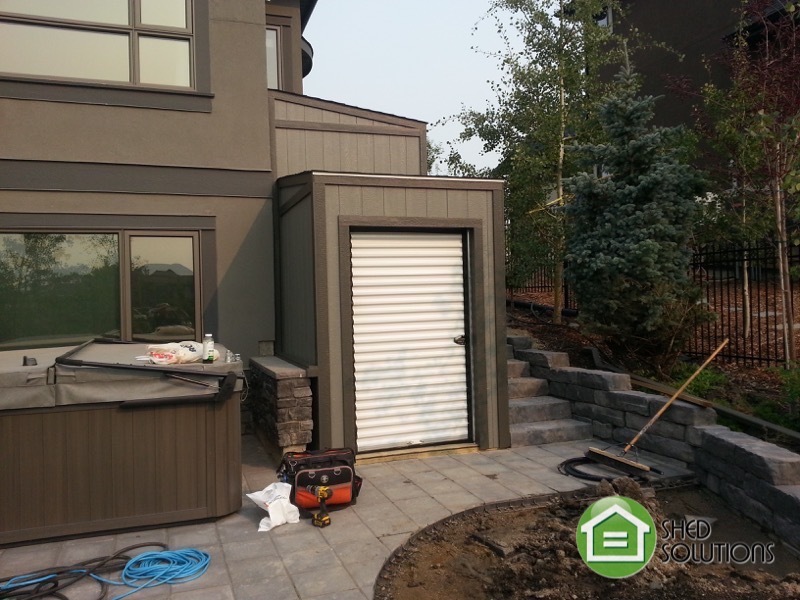 These sheds were custom built to maximize the space available between retaining walls and levels.